Award-winning animation director Genndy Tartakovsky, who created the hit series Star Wars: The Clone Wars, Samurai Jack and Dexter’s Laboratory, will direct Power of the Dark Crystal, the much anticipated sequel to The Jim Henson Company’s 1982 classic fantasy film. The announcement was made today by Lisa Henson, co-CEO of The Jim Henson Company and a producer on the film. Queen Kira from the upcoming 2007 film, "The Power of the Dark Crystal". Additionally, Tartakovsky’s newest venture, Orphanage Animation Studios, has been brought on board as a producing partner to head up the CG animation elements that will be incorporated with the film’s live-action animatronic characters. 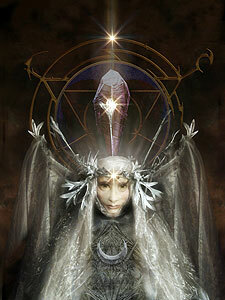 Legendary fantasy artist Brian Froud, designer of the original film, will return to design the new characters. Odyssey Entertainment is representing worldwide sales and distribution on the film. Genndy Tartakovsky said, "The original Dark Crystal was one of the most inspirational and imaginative pictures of its time, so it's a real honor for me to be able to bring the world of The Dark Crystal to a whole new generation." 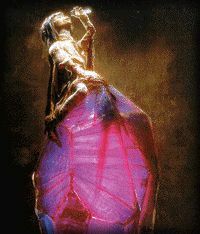 The sequel is only one of several projects exploring the world of The Dark Crystal, a fan favorite that has remained consistently strong with worldwide home video and DVD sales. Other projects include an animated television series, a manga series from Tokyo Pop, and myriad licensed products such as books, apparel and collectible sculptures. Power of the Dark Crystal is a production of The Jim Henson Company in association with Orphanage Animation Studios. With a screenplay by Annette Duffy and David Odell, the film will be produced by Lisa Henson and Orphanage Animation Studios Chairman Scott Stewart. Executive Producers will be Brian Henson with Ralph Kamp and Louise Goodsill of Odyssey Entertainment.